Welcome to the first RMAI Blog post. Hopefully we can make this a regular feature on our website. Often things are so busy at the Dojang that’s it’s difficult to make the time to sit and plan out something to write about. So today is a great opportunity to talk about this past weekend’s Black Belt Summer Showcase Demonstration. 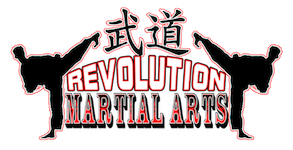 Saturday July 28, 2018 was the date that we began what we hope is a new tradition at Revolution Martial Arts Institute. Our first ever Black Belt Summer Showcase was a fun filled afternoon with exciting martial arts demonstrations and lots of food and refreshments for those attending to enjoy. The demonstration opened with some Hyungs (forms) performed by Mr. Andrew Mihniak, Master Celona, Master Falcone as well as weapon performances by Ms. Samantha Falcone (staff), and Ms. Katie Stack (nunchaku). Music played as performances of Pilsung Chil Jang, and Pilsung Bong Hyung Sam Bu were precursors for Old Traditional Tang Soo Do forms Kong San Goong, Naihanchi Cho Dan, and Bassai. Ms. Stack’s nunchaku performance was completely her own creation, and she showed her creative skill in her choreography. Timing her performance along with the song of her choice. In addition to forms and weapons, an impromptu sample of a form’s practical application/ dissection and analysis (Bunhae) were shown. The first 9 movements of Pilsung Il Jang were demonstrated in solo form by Mr. Michael Dolan side by side with the Bunhae counter part by Katie Stack and Andrew Mihniak. No Martial Arts demonstration would be complete without Fight routines and breaking. This years demo had both. The theme this year was to keep the fights lighthearted. It’s ok to show a bit of humor in regards to choreography, today was no different. Mr. Kevin Dolan and Michael Dolan had an entertaining knife defense routine which was done in a very highly exaggerated and funny manner timed with the rhythm of their music. The multiple knives and weird dance-like motions were very reminiscent of a Kabuki type play… with an added groin kick/rear naked choke at the end. A short, but comical routine. But no……, it stood for “My Heart Will Go On.” By Celine Dion. One of the funniest, and more creative fights in recent memory. Performed completely in simulated slow-motion by Master Joe Falcone, Samantha Falcone and Andrew Mihniak. MHWGO was expertly timed and choreographed along with the lyrics and arrangement in the song. At first people were probably unsure what they were witnessing, but once Mr. Mihniak was kicked through the door (the first time) along with the lyric in the song “you open the door”. Laughter was a good indicator of the trio’s comedic timing. Once the skit was over, drop cloths which were placed strategically on the floor were peeled back to reveal various concrete blocks and bricks to be broken. Boards were also placed in various positions to be broken with a variety of different techniques. The Kihap by Master Celona was the signal to begin as Ms. Falcone set the whole sequence in motion with a suspended/speed reverse punch break. One by one, Masters Celona and Falcone, along with Ms. Falcone set loose volley of destruction. Breaking this and that, making a decent size mess with wood, splinters, rocks and flying debris. After the performances, everyone took a bow, then began the clean up process. Students and parents hung around to chat while the kids got to play games like dodgeball and duck-duck-goose. It was a great afternoon. We can’t wait to begin planning for next year! Stay tuned for when we post the highlight video!